Her: I really loved this! I went in being skeptical that I would enjoy it but left amazed. The movie was touching, hilarious and filled with interesting technology. I recommend! Frozen: I think I love Frozen the most out of the “new” Disney movies. (Tangled, Brave, etc) The songs are amazing, the animation beautiful and the story compelling! Yes, I’m going to buy this. I don’t know about you, but I can’t wait for spring to get here! 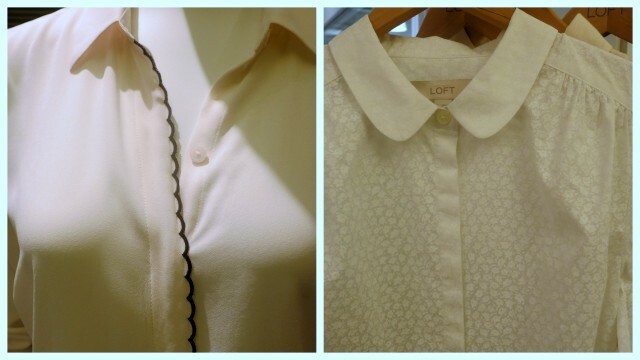 Especially when I was able to see what’s in store with LOFT at their spring preview! March will see shades of indigo at the beginning of the month and then paler shades of blush, cream and rose as the month goes on. 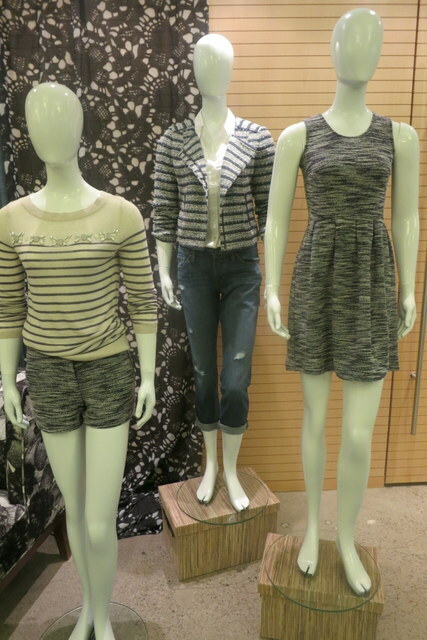 I just love that heathered dress above! This collection has a girly feel (think ribbon belts, scalloped dresses) juxtaposed with elements like military jackets and cargo pants. LOFT is redesigning the suit to make it easier for women to wear. 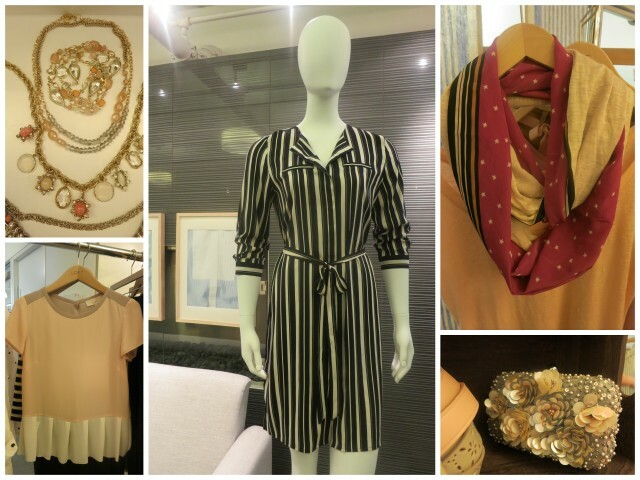 Beautiful feminine pastel colours and patterned cuffs that beg to be rolled up. Pair these with simple shirts with high quality fabric and small details, such as scalloped necklines. This spring, LOFT shorts will venture into prints. 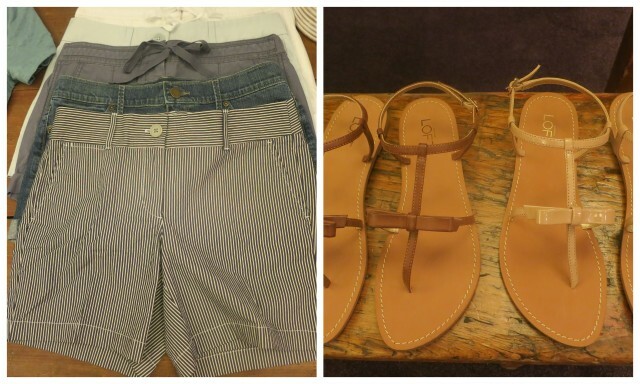 Those cute bow flats will be available in stores! 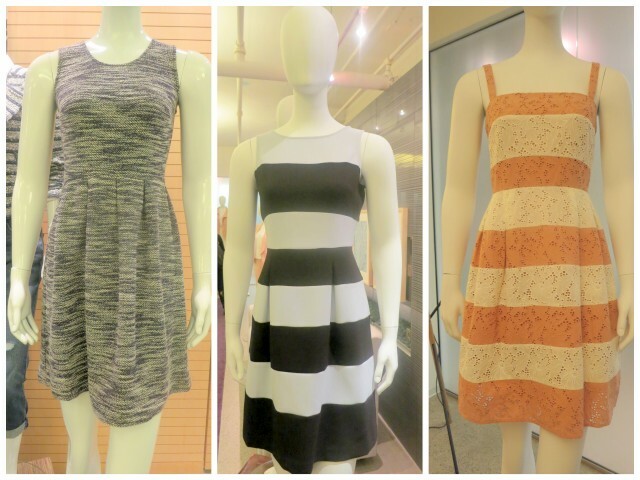 Last but not least, these are my favourite dresses from the collection! What do you think? Are you excited for spring? Last weekend, I was lucky enough to attend the London Wine & Food Show. I was amazed at all of the delicious things to eat and drink at the show…and in London itself! The London Food and Wine show happens once a year, and it showcases the best food and wine in the region. First up, I met with EPIC Wine Country. EPIC stands for Essex Pelee Island Coast. (Awesome, right?) This region of Ontario has been producing wine since the 1860s. During prohibition, the value of grapes dropped so farmers decided to sell tobacco instead. Luckily, tobacco demand declined and in the 80s, people in the region started making wine and growing grapes again. Due to their location, wine made in EPIC Country is a little sweeter and not as acidic as wines made elsewhere in Ontario. The region is known for Riesling, Chardonnay and Cabernet Franc. There are 18 wineries in the area, and the wine route is very compact and easy to do in a weekend. I loved talking with all of the passionate wine makers and tasting their delicious wines! I definitely found a few favorites. Here are my top 4. 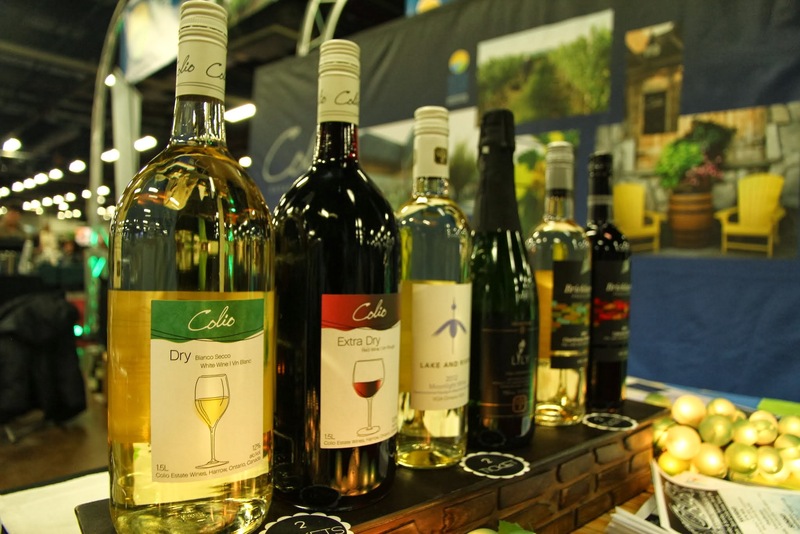 Colio Estate Winery was the second winery to set up shop on the island. I liked their labels, specially the Bricklayer label. I enjoyed their Bricklayer Wine, which is a homage to the Italian bricklayers that immigrated there. This wine is Pinot Grigio mixed with Chardonnay. It’s a 0 but comes across as a 1 because of the Pinot Grigio. Goes well with pasta with a white sauce or seafood. 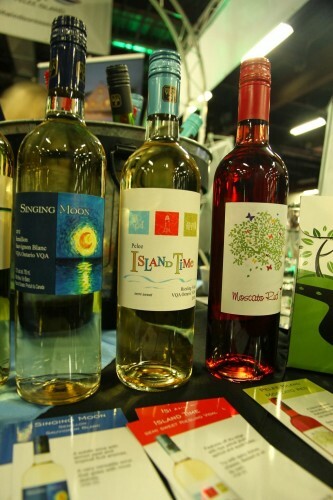 Pelee Island Winery is located on…you guessed it, Pelee Island! Visit the island, the Southern most inhabited point of Canada and have some wine to boot! Visitors can enjoy the summer in a very relaxed atmosphere and can even BBQ their own food from their deli hut. Pelee Island Time was my absolute favourite white wine. It has a bit of videl ice wine with a dry fruit finish, almost cooked. It was sweet and oh so good. Bonus! It’s available at the LCBO. Sprucewood Shores is right on the shore on Lake Erie. Visitors can enjoy gourmet picnic baskets with a glass of wine down by the lake. In the summer they host Sips Sounds and Bites every Sunday with local food and live music. My favourite rosé of the day was their 2011 Rosé. It was clean and crisp with overtones of strawberry. It’s currently only available at their winery- a great reason to visit! 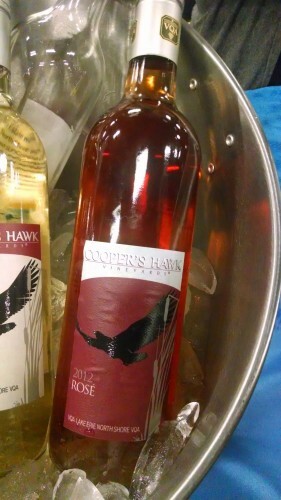 Cooper’s Hawk Vineyards has lots of wildlife and there are lots of hawks on the property. The owner also happens to be a cooper- someone who makes barrels- so their name fits more ways than one! Their winery is a LEED property and is on conservation land. They’ve only been open for 2 years, but many of their 2012 whites are already sold out! 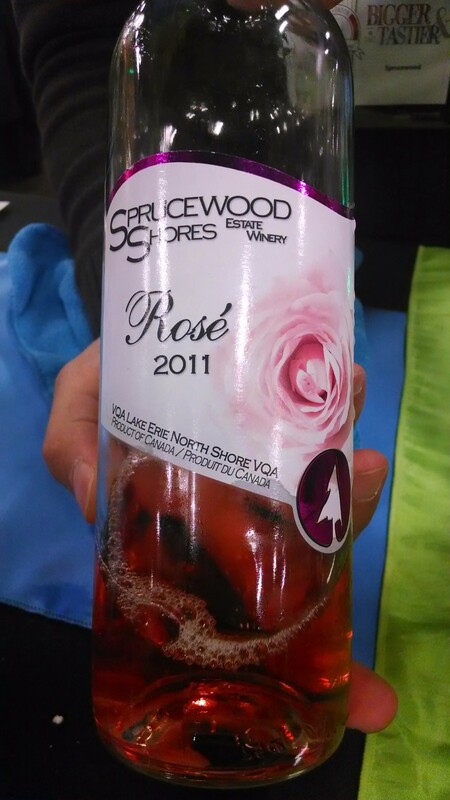 Their 2012 Rosé was my second favourite rose of the day. It was nice and sweet but not overly so. They paired it with dark chocolate and it was amazing. 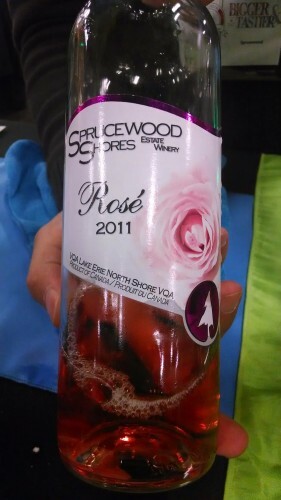 It is available on direct delivery and at the LCBO! I drank a lot of great wine to get to those favourites! Of course, there was more than just wine…there was also beer! 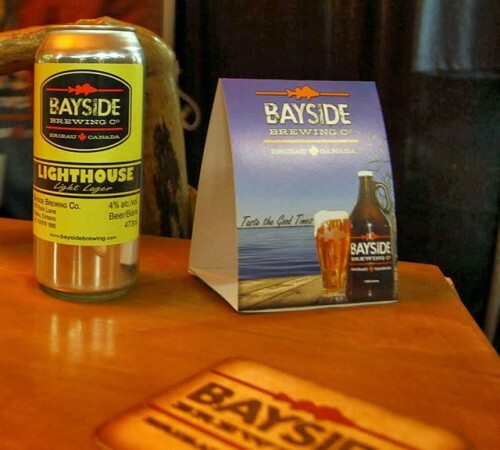 Bayside Brewing I’m not a beer drinker, but was won over by Bayside Brewing‘s Bayside Light Lager. It was refreshing without being weak. It’s 4% ABV with a well balanced finish. 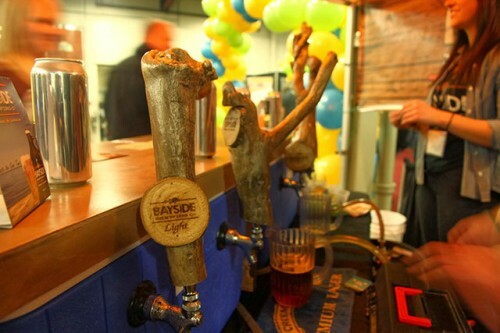 Check out their cool, custom driftwood taps. Their location in Erieau, ON includes a micro-brewery, retail area, tasting room and BrewPub. The Arts & Cookery Bank was there serving up spiked homemade marshmallows! So good. They are actually a digital photo gallery (cool, huh?) in Elgin County housed in a converted 1914 Bank of Montreal and an 1883 timber frame barn! The barn houses a kitchen and you can take cooking lessons! Find out more here. Of course, you can’t have a Food & Wine show without cheese! Gunn’s Hill had some fab cheese out to try. All of their cheese is made with milk from their family farm! 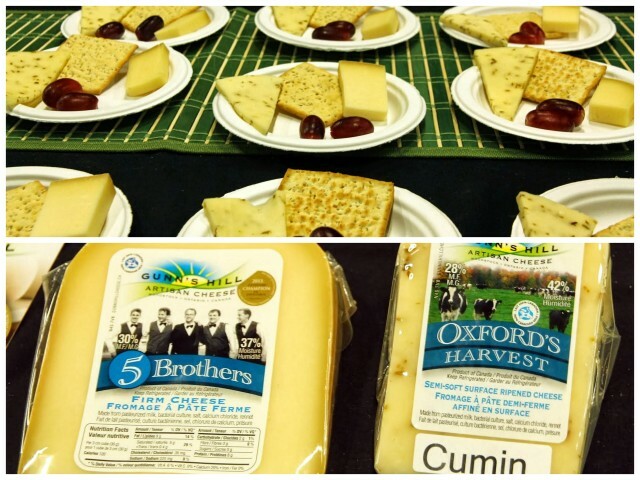 My favourite was their Oxford’s Harvest, a mild, creamy Swiss style cheese with cumin inside. 5 Brothers is a mix of Gouda and Swiss and is aged for 8 months. I also sampled some delicious sheep milk Gouda from Blyth Cheese. I had such a fun weekend visiting London and this show. Thanks to Ontario’s Southwest for giving me a taste of what the region has to offer! 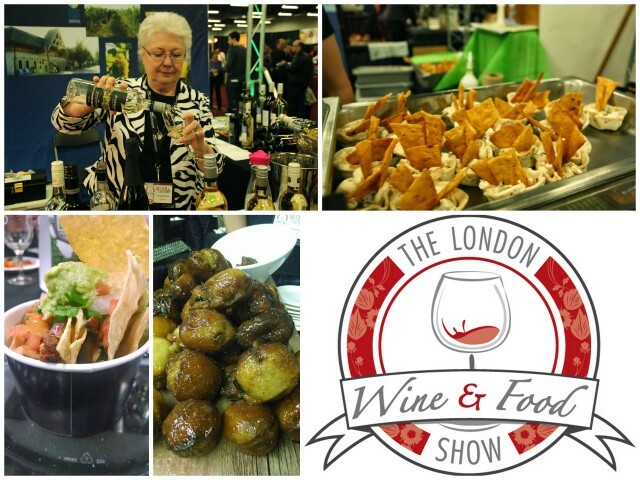 Click here to find out more about the London Wine and Food Show. It’s only mid January, and I’ve already had enough of winter! This -20 weather is enough to get anyone down. It’s easy to see why people reach for comfort food in these chilly months. You pretty much can’t think of comfort food without thinking of grilled cheese! Get ready Toronto! On February 28th, you’ll be able to sink your teeth into an ooey gooey new festival- Grilled Cheese Fest! 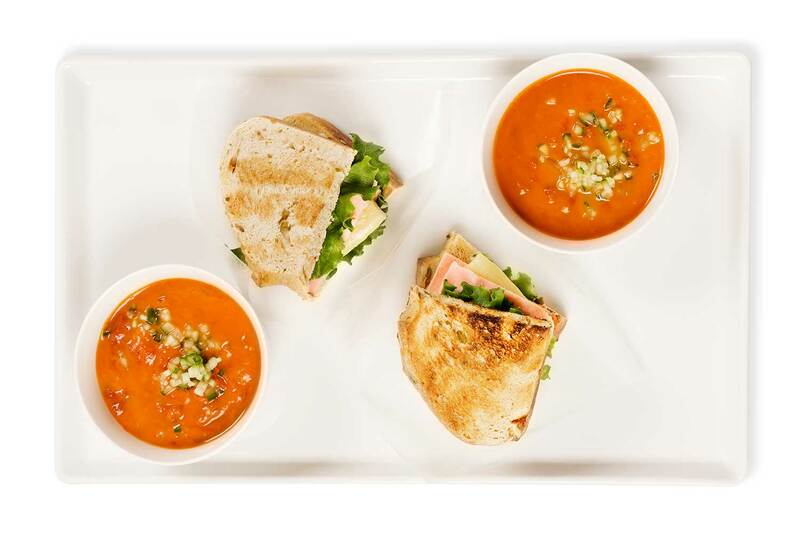 Held at Roy Thompson Hall, $39.99 gets you unlimited gourmet sandwiches & soup, plus 3 sample beers. These aren’t your ordinary grilled cheese sandwiches either. Sandwiches include: Bacon Avocado (from MELT GRILLED CHEESE) Cheddar cheese, monterey jack cheese, bacon, avocado, spinach, red onion, tomato, and garlic mayo, and an exclusive, never-before-eaten Grilled Cheese from CHEESEWERKS! Melt Grilled cheese, Johnny Jackson, Gorilla Cheese and Cheesewerks are just a few of the participating vendors. What are you waiting for: Tickets are now sold out, but you can sign up for the waiting list. Click here for more info. Are you a curvy girl that’s tired of stockings that don’t quite fit right? Maybe they pinch or they roll down as the day goes on. Enter Silks Beautiful. Silks Beautiful is the ideal solution for full-figured women who often experience great discomfort while wearing traditional pantyhose that provides an improper fit and features snug-fitting waistbands that pinch and roll. yarn that helps prevent chafing. Sounds awesome, right? Silks Beautiful is available in sheer 20-denier pantyhose ($10 in black or natural) and opaque 80-denier tights ( $18 in black). Opaque and sheer knee highs are also available. I tried out a pair of these stocking in a sheer 20-denier black and they were very comfortable. See for yourself! Silks and I are giving away a gift basket with these tights and other goodies to once lucky girl. Enter below! Oooh…it’s time for Winterlicious again! It’s what gets me through the winter, seriously. Each restaurant will feature a three course menu at set price points ranging from $15 to $45. Lunch menus are priced at $15, $20 and $25, and dinner is priced at $25, $35 and $45. Each year more and more restaurants get on board, and this year is no exception. Some new restaurants taking part are: Bannock, Habit’s Gastropub, Bosk, Nota Bene, Ocho Hotel and much more! Over 200 restaurants are participating this year! Click here to see the full list. This year, I plan to eat at: Bloke & 4th, Pizza e Pazzi, Origin North and Nota Bene. Don’t forget, there’s also an amazing line up of Culinary Events! Reservations are open today, so go and reserve! 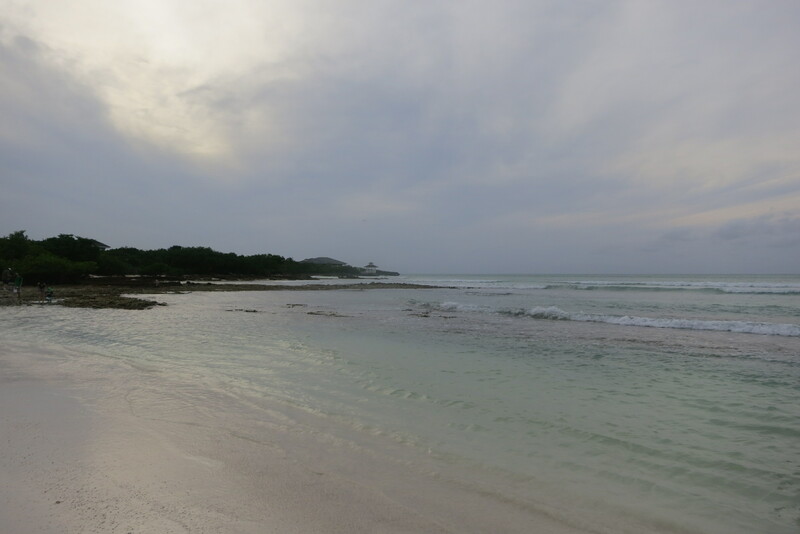 The holidays are over and it’s January- ugh. Feeling a little blah? 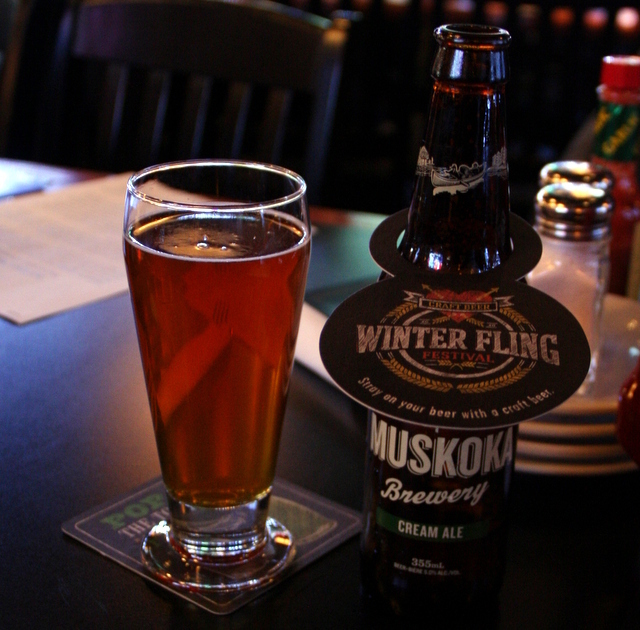 Fight those blues with Jack Astor’s Winter Fling Festival, on until January 19th. 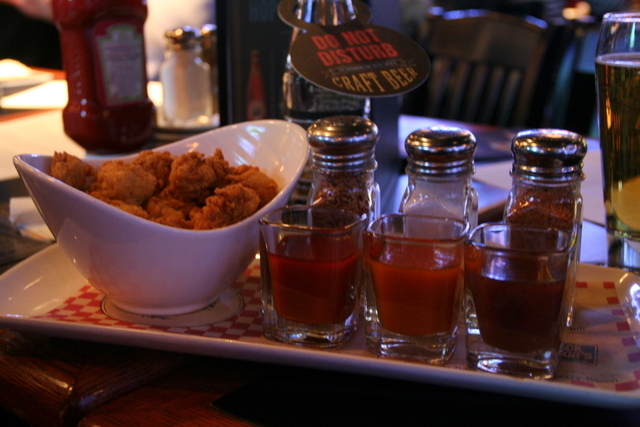 Five craft beers will be available at Jack Astors for your drinking pleasure. These beers are: Mill St. Organic Lager, Muskoka Cream Ale, Flying Monkey’s Hoptical Illusion Pale Ale, Granville Island Lions Winter Ale and Mill St. Tankhouse Ale. Along with the beers are some tasty new dishes. 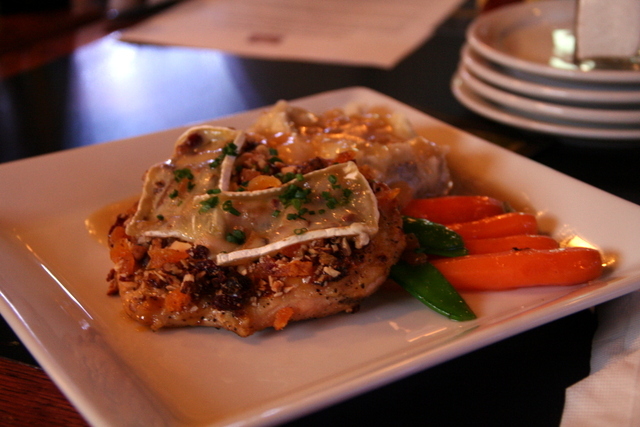 Holiday Brie Chicken ($17.97) is a festive double breast of chicken glazed with honey Dijon, surrounded by mashed potatoes and topped with brie. As a huge fan of their fresh chicken strips, I was happy to sink into the new Cluckin’ Chicken Dippers ($9.82) Generous chunks of chicken breast are breaded and served up with dipping sauces and salts/spices to create your own mix! Sauces include Korean BBQ, Pineapple Boss and surprise hit Strawberry Bacon. 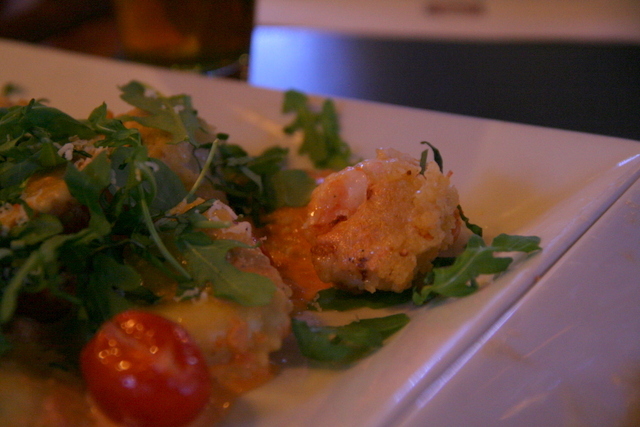 My second favourite is the Asiago Shrimp & Smoked Mozza Ravioli ($16.74). The combo of the Asiago crusted shrimp and the ravioli filling is amazing. It’s served with creamy tomato sauce and baby arugula. I wish they’d keep this on the menu permanently! 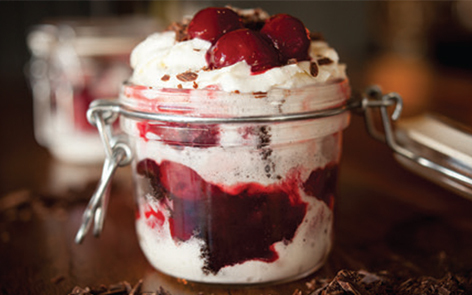 Finish off with Cherry on Top Chocolate Trifle, served in an adorable mason jar. This layered take on a German Black Forest Cake comes with brandied cherries and shaved chocolate. Ready to check it out? To see the full menu, click here, or click here to find a Jack’s near you!